I think that most Californians who spend hours on end in their cars commuting and sitting in traffic, as I do, have those certain places that they drive by all the time and always think about stopping, but never do. I have a lot of those places, so I thought I would check two of them off my list today since they are right next to each other. 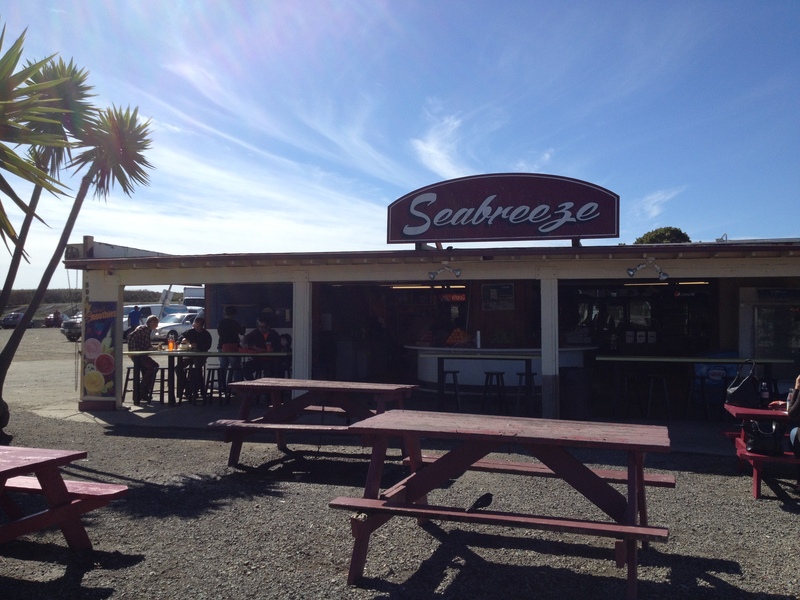 The first place is the Seabreeze Café on University Avenue in Berkeley. I pass this place every day on the way home from work, and always think about going there for lunch. After years of just thinking about it, I finally made it happen, and my two awesome co-workers, Jamie and Nikki, came with me. The café is less than a 5-minute drive from our office, and still none of us had ever been there before. The menu was bigger than I expected, with sandwiches, burgers, seafood and salads. My tuna sandwich was really good, and I’ll definitely be going back to try more. 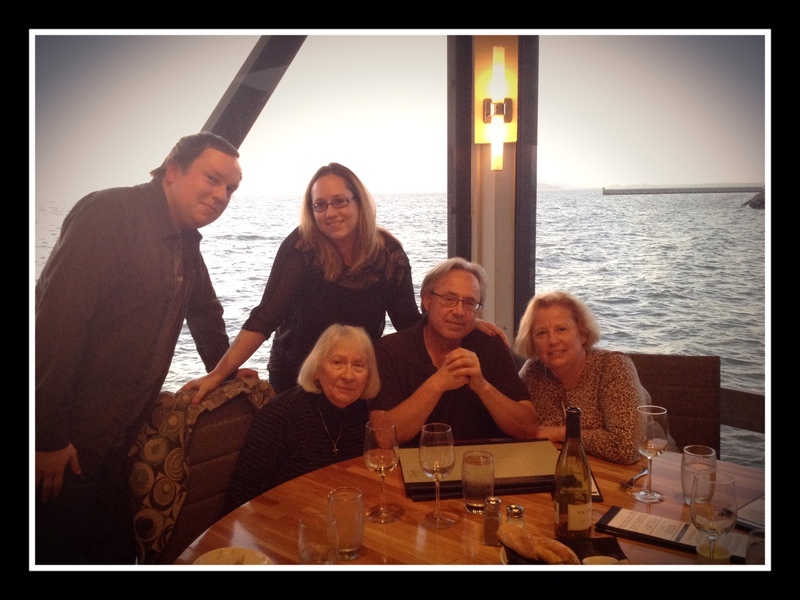 The name Seabreeze was perfect for this place, and we had the wind-blown hair to prove it. My second stop was after work. I drive along Frontage Road every day to avoid heavy 80/580 traffic, which runs right along the water. There is a small road/trail for runners, bikers, dog-walkers, etc., and every day I fantasize about stopping there to walk and take sunset pictures of the Bay. But there are always excuses not to stop. I have to get home, I’m too tired, I didn’t bring the right walking shoes. I have stopped there before for a couple minutes at the little beach, but I’ve never walked the trail or spent any real time there. So today I parked my car, came armed with walking clothes and shoes, plugged in my ear buds, and spent two full hours walking around the area. I walked the whole road up and down, as well as a couple of the nearby trails, went to the little beaches, and I even walked over the University pedestrian bridge/overpass for the first time. And of course being the picture nut that I am, I brought my camera and took about a bazillion shots. It’s amazing to me how a simple walk can have such a rejuvenating effect. But it was more than just a walk, it was taking time to be there and savor how thankful I feel to see this view every day. I worry and complain a lot about my “first world problems,” as a lot of us do, but in this rare moment of consuming gratitude, all I felt was peace. So you know that place you always see? The one you drive by on your way home? It’s time to stop. I met Christian on my walk. He was sitting on a log on the beach playing the guitar. 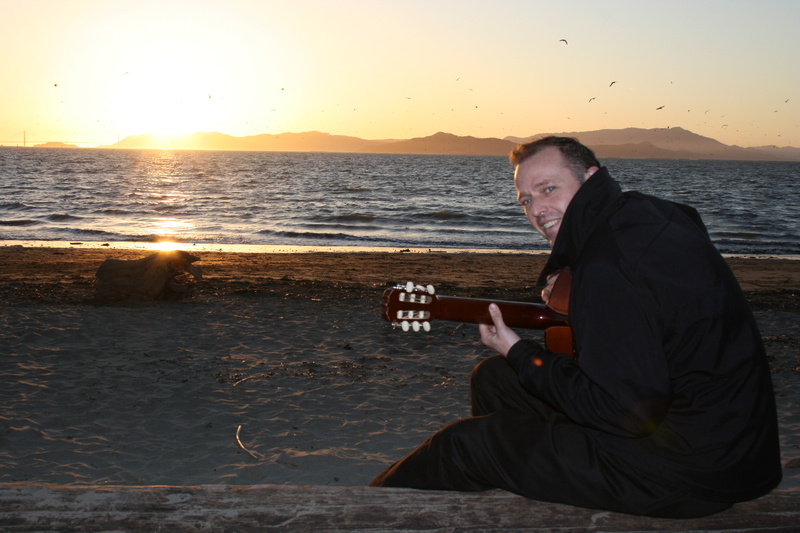 I was deep in picture taking mode at this point, and how can you resist a silhouette shot of a guy on a beach at sunset playing the guitar? That’s right, you can’t. I went up to him to ask if I could take his picture (I felt like Brandon Stanton of HONY- click the link if you don’t know who/what that is). He smiled a big smile and said, “Yes, absolutely!” He was one of those exuberantly friendly people that I think you only meet once in a great while. We ended up talking for a few minutes as the sun went down. I think he thought I wondered why he was out there with his guitar, because he immediately starting talking about how important it is to do things for yourself, and to take the time to make your life a full one and feed your soul with what you enjoy, and to appreciate what comes into your life and recognize that it came into your life for a reason. It was a very apropos speech considering the spirit of this new things project. I sat down with him and he played me one of his songs. While he sang, I couldn’t help but be jealous of how at ease he was. I thought about how rare it is that I go up to a stranger and chat with them (let alone sing to them). I bet he does it every single day. 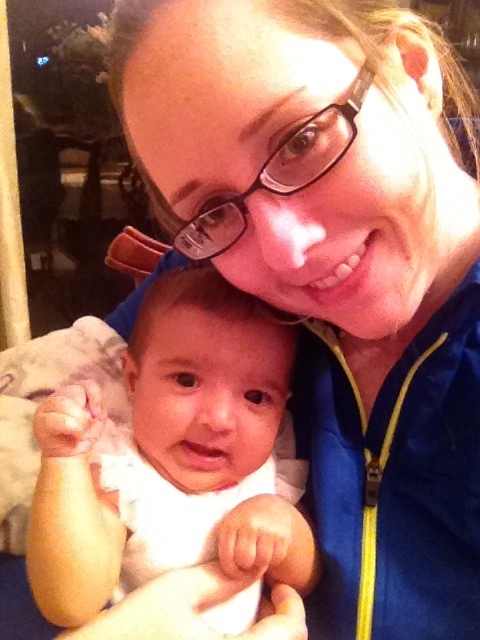 Before going home tonight, I stopped by Ria’s and met her new niece, Amalia, for the first time. She is seriously, freakin’, stinkin’ cute. Her aunt is going to spoil her rotten.